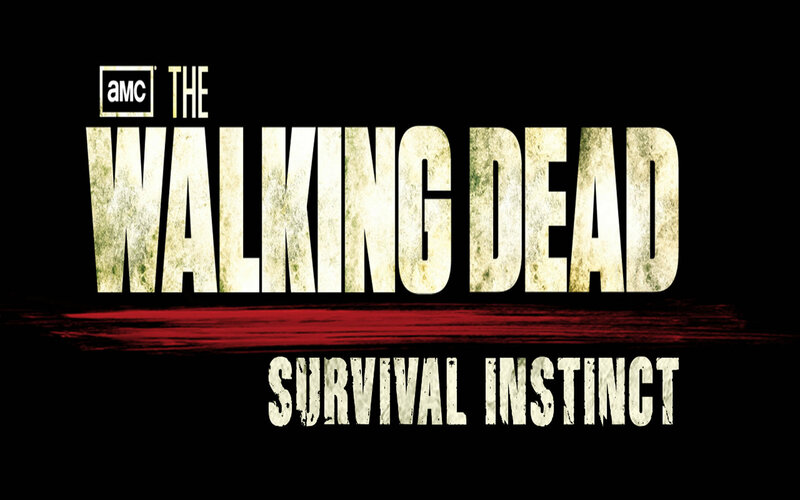 I played through The Walking Dead: Survival Instinct in one sitting. It wasn’t because I was having fun with the game, or because I had a large amount of free time I could devote to it. I played it through in one sitting because it was incredibly boring, incredibly short, and I wanted all of it to end as soon as possible. I guess there’s something to be said about a franchise that can have two games on the market at the exact same time that are so emphatically different from one another. Telltale’s The Walking Dead was a deep, emotional adventure that broached topics few other games even come close to touching. It’s a game that knows exactly what it’s doing and every part of the experience is crafted to wring emotion out of a player. It was a story about the shortness of life, the depth of connection, and the growth of individual self. Telltale’s The Walking Dead was one of the best games of last year. Terminal Reality’s first-person shooter The Walking Dead: Survival Instinct is the exact opposite of Telltale’s adventure game in just about every way. Survival Instinct starts as about as good as it can and only gets worse as time goes on. You’re immediately dropped into an insipid world that has no life of its own. Everything feels alien, unreal, and about three inches too big; it’s as if you’re playing as a small person in a world where things are just a bit too big. Environments feel painstakingly laced together with an attempt to try and make them look as real as possible, but never achieving more than a wax figure look-a-like version. 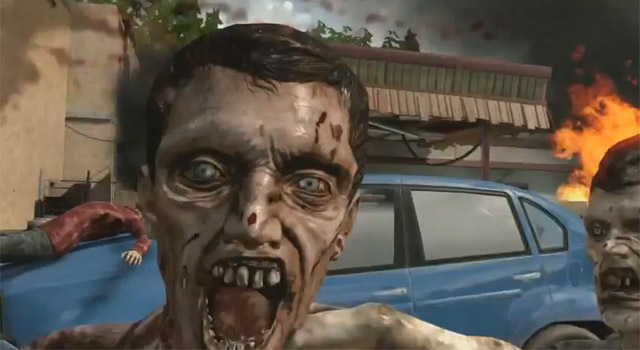 The zombies themselves barely resemble humans and their models feel at odds with the world around them; they look like a cross between realistic zombies and the comic book style zombies from Telltale’s game. I could tell you there’s a story here, since I guess there is one, but I’m not sure anything happened in it. The main storyline follows Merle and Daryl Dixon, two of the characters from the AMC show. Both actors voice their characters, but they’re phone-in performances at best. It fills in the backstory of the Dixon brothers and what they were up to before they joined the crew in Atlanta, although none of it is impactful and you can go the rest of your life without knowing any of the information involved in the story and be just fine. You play as Daryl Dixon and perform odd jobs that merely take you from point A to point B with little in the way of narrative between them. Throughout these levels — and yes, let’s call them levels because there is seemingly no connection between each other than a loading screen — you’ll need to perform some task, usually it involves picking up some object, then running to a random green square that ends the level. Within the levels themselves there are characters who will ask you to perform a side-quest; if you complete it, they will join your road crew. Which basically means during levels you can have them hunt for supplies, but don’t bother because they never seem to stay alive long enough to be of much use. Between each level, a quasi game of Oregon Trail plays out where your car may break down, run out of gas, or some other random event will happen. You’ll need to hunt for more supplies, find something that will fix your vehicle, or move a car out of the way so you can keep moving. It’s an idea that is really cool at first but then you do it again. And again. And like twelve more times after that. Each time one of these events happens you’ll get a location that is essentially copied and pasted from three different locations — you might enter from the other side the second time you go there, so at least there’s that… right? This is to say nothing of the gameplay itself, which is frustratingly boring at the best of times. Survival Instinct plays on the concept that more than three zombies at a time will kill you if you’re not careful. There are guns but they aren’t any fun to shoot, nor are they useful since any loud noise will attract zombies to you, and you definitely don’t want that to happen. Halfway through the game, Daryl gets his trusty crossbow that sometimes just randomly misses when you’re aiming right at a zombie’s head; other times you can be aiming just far enough away to where the arrow shouldn’t hit, but like a magnet it’ll latch onto your target for a kill. Usually you’ll end up sneaking through a level, pulling agro on zombies one at a time to take them out with a melee weapon (these generally take three to five hits to finally kill). If zombies get in too close they can perform a grapple move where the zombie will latch onto you and you have to direct your knife towards said zombie’s face for a one-hit kill. If more than one zombie is around when this happens, you’ll get stuck in an animation loop where once you kill one zombie, another one will immediately grapple you. You’ll rarely take damage when this happens, so it’s a laughably embarrassing way to clear out an entire swarm of zombies with little effort. The Walking Dead: Survival Instinct is the kind of horrible, lazy cash-in game that does nothing but negate the quality of The Walking Dead brand. It is a horribly rushed product that is painful to sit through in the measly five hours it takes to play. I didn’t have any fun playing the game, nor do I really see who the game is for at all. It just seems like the easiest way to get in on The Walking Dead while it’s hot. I feel dirty now… I need to take like eleven showers.